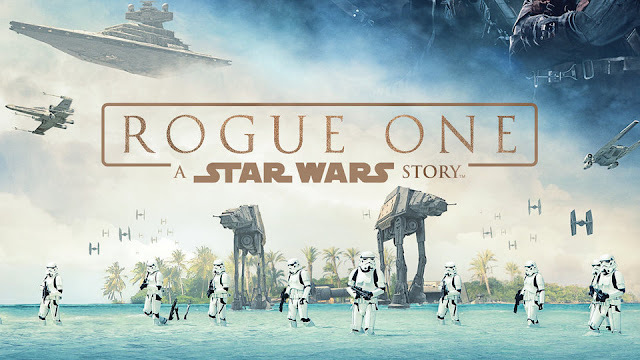 Here's some facts and trivia about the development, production and detail of Rogue One, the first Star Wars anthology film. The film's working title was 'Los Alamos'. Star Wars films have an odd naming history. Its place in the Star Wars time line is just before A New Hope. It is also 5 years after the Star Wars Rebels television show. Visual effects legend John Knoll came up with the story. He pitched it to Kathleen Kennedy and the rest is history. Doug Chiang is the production designer. His claim to fame is design work on the prequel trilogies. Garry Whitta wrote the first draft of the screenplay and came up with the film's title. Gary is known for his work on The Book of Eli and After Earth. He actually posted the title of the movie to his Twitter account at one point but no one knew it was the movie! Whitta also drafted an opening crawl that went unused. Screenwriter and director Christopher McQuarrie did a two week pass on the script post Whitta's effort. McQuarrie is best known for winning an Oscar for scripting The Usual Suspects and has had a strong career since so his involvement is notable. The original R1 squad had a giant green alien called Senna and a Lunka. They were paired as a duo but ultimately dropped. This concept design shows what they may have looked like. This is the first Star Wars movie where the title of the movie is said. Bodhi Rook says it, confirming the title of the movie is a call sign. In the initial first drafting of the movie, Jyn Erso and the character that became Cassian Andors survived the Battle of Scariff. Alan Tudyk plays Enforcer Robot, K-250. He filmed a small cameo as a pilot called Wray Nerely but it was cut out. It is the first big screen Star Wars movie that John Williams has not recorded the score for. Michael Giacchino composed the music for Rogue One. The "I don't like you either" guy, Dr. Evazan has a blink and you'll miss him cameo. You'll remember his as they guy giving Luke Skywalker a hard time in the Cantina Bar in ANH, a hard time until Obi-Wan stepped in and sorted things out. Genevieve O'Reilly reprised her role as Mon Mothma, whom she previously played in Revenge of the Sith. Anthony Daniels appears in his 9th Star Wars movie - if you count his voice acting work for the cinematic release of The Clone Wars, making him the only actor to appear in all the Star Wars movies. Whike his side kick R2D2 also appears in all the movies, R2 was only played by Kenny Baker in 4 movies - most of the prequels where animated and he was too ill for The Force Awakens. Jyn Erso was originally conceived as being a Sergeant in the movie. This was changed so late in the piece that production runs of the Jyn Erso doll included the rank as part of the name! Character 'Saw Gerrera' originally featured in Star Wars: Clone Wars television show. Gerrera is played by Oscar winner, Forrest Whitaker. The planet Jedha features a place known as the 'Temple of the Whills'. This is a great reference to some obscure Star Wars trivia - The Journal of the Whills was a formal record of history, maintained by a beings known as The Whills. During the original Star Wars writing period, George Lucas had the idea that R2D2 relayed the stories he knew to the Whills so that the Skywalker saga could be recorded for all time. Gary Whitta, one of the script writers, filmed a cameo as a Rebel pilot but it never made the final cut. It falls to K-2SO to deliver the line "I've got a bad feeling about this" - be he gets cut off before he can finish the famous quote. This makes it the tenth time the line has been uttered in a Star Wars movie. It was Donnie Yen's idea for his character Chirrut Imwe to be blind. Director Gareth Edwards thought it was cool and ran with it. Yen initially turned down the role when it was first offered to him however when he told his kids about the chance, they were so excited, he changed his mind. In Saw Gerrera's cave there are paintings of monsters from director Gareth Edward's prior movies, Monsters and Godzilla. As Pao sees the approaching AT-ACT on Scarif he let's out a cry of 'Karabast!' - which Rebels fans will know as a saying of characters Zeb and Ezra. To design the U-wing, 781 different drawings were done by Doug Chiang's design team before they settled on the final look. You know that planet Jyn is rescued from as a prisoner? That's called Wobani. Do you think it curious that Wobani is an anagram of Obi-Wan? Chris Weitz, one of the scriptwriters, said that one of the titles of the movie that was 'kicked around' for Rogue One was 'Dark Times'. Director Gareth Edwards has a cameo as a Rebel on the Tantive IV. He's the one that frees the ship to allow it to escape Darth Vader. Speaking of directors, The Last Jedi director Rian Johnson also had a cameo as an operator on the Death Star. The firing sequence is copied exactly from that of ANH, frame for frame. Where A New Hope started with Darth Vader in black being surrounded by his white Storm Troopers, Rogue One reverses this with Krennic dressed in white being surrounded by his black Deathtroopers. A continuation of Lucas' Ring Theory perhaps? The ship known as 'The Ghost' from the television show Rebels makes an appearance in the final Rebel attack. It's the first leap from that show's realm to make into a Star Wars movie. And to tie into the above, Pablo Hidalgo has confirmed Chopper was in Rogue One - where? He can be briefly found on Yavin base. See the red circle in the image just below. Did you spot the blue milk in the Erso's family home? That's a nice wee Easter egg referring to Luke having a drink of it back at Uncle Owen and Beru's farm in ANH. The use of Blue Squadron was a reference to the novelization of Star Wars featuring Blue Squadron instead of Red. This was a choice made by Lucas late in the piece, after the novel was already written by Alan Dean Foster. Foster when on to write Splinter of the Mind's Eye and the novelization of The Force Awakens. Leia says the last line of the movie "What is it they've sent us? Hope." It's a clever set up for the title of A New Hope and ties in thematically well. In saying this last line, that takes Leia's tally saying the final line of a Star Wars movie to three - the other two being The Force Awakens and Return of the Jedi. The Hammerhead Corvette used in the Battle of Scarif to smash one Imperial Stars Destroyer into the other was an idea taken the classic video game, Knights of the Old Republic. It was also seen in season two of Star Wars: Rebels. Rogue One sets up how Luke eventually gets the call sign 'Rogue-Five'. The Original Red Five, Pedrin Gaul, was killed during the battle over Scarif, meaning that when Luke gets involved with the Rebel assault on the Death Star, he takes up the vacancy in Red Squad. Jyn's mother Erso wears the "red sash of the enlightened' which was worn by the sects found on Jedha - the same as Chirrut wore. Given these sects were about the Whills and the Kyber Crystals, the scene when Jyn receives her mothers crystal necklace should serve to show that her mother was truly trying to protect her with the power of the Force. Also, and perhaps crucially for the plot - Chirrut was able to sense the crystal around Jyn's next on Jedha - which led to Baze and Chirrut getting caught up in Jyn's adventure. Wedge Antiles makes a cameo of sorts. The voice actor for the character, David Ankrum, was brought in to do act as the Public Address voice for the scenes featuring the Rebel Base. Ankrum can be heard telling the Rebels to board their ships. Admiral Ackbar was intended by Gary Whitta to lead the assault on Scariff however JJ Abrams beat him to the punch and used him in TFA. Gary was quoted as saying “We didn’t want to use him again after The Force Awakens. So Ackbar became Admiral Raddus." The co-writer of Rogue One, Tony Gilroy is the voice questioning Bodhi Rook on the U-Wing, which led to the pilot coming up with the call sign “Rogue One”. Did you like all of that? Here's 111 more facts about the Star Wars films.